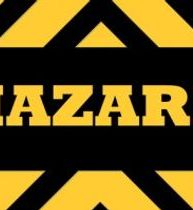 The basic goal of a Hazard Communication Program is to ensure employers and employees know about work hazards and how to protect themselves. This should help to reduce the incidence of chemical source illness and injuries. Chemicals pose a wide range of health hazards (such as irritation, sensitization, and carcinogenicity) and physical hazards (such as flammability, corrosion, and reactivity). This standard is designed to ensure that information about these hazards and associated protective measures is disseminated to workers and employers. This is accomplished by requiring chemical manufacturers and importers to evaluate the hazards of the chemicals they produce or import; and providing information about them through labels on shipped containers and more detailed information sheets called material data safety sheets or MSDS’s. 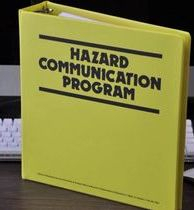 All employers with hazardous chemicals in their workplaces must prepare and implement a written hazard communication program. They must also ensure that all containers are labeled, employees are provided access to MSDS’s, and an effective training program is conducted for all potentially exposed employees. The standard provides workers the right-to-know the hazards and identities of the chemicals they are exposed to in the workplace. When workers have this information, they can effectively participate in their employers’ protective programs and take steps to protect themselves. In addition, the standard gives employers the information they need to design and implement an effective protective program for employees potentially exposed to hazardous chemicals.